This is a Whole30-compliant recipe that serves 2. 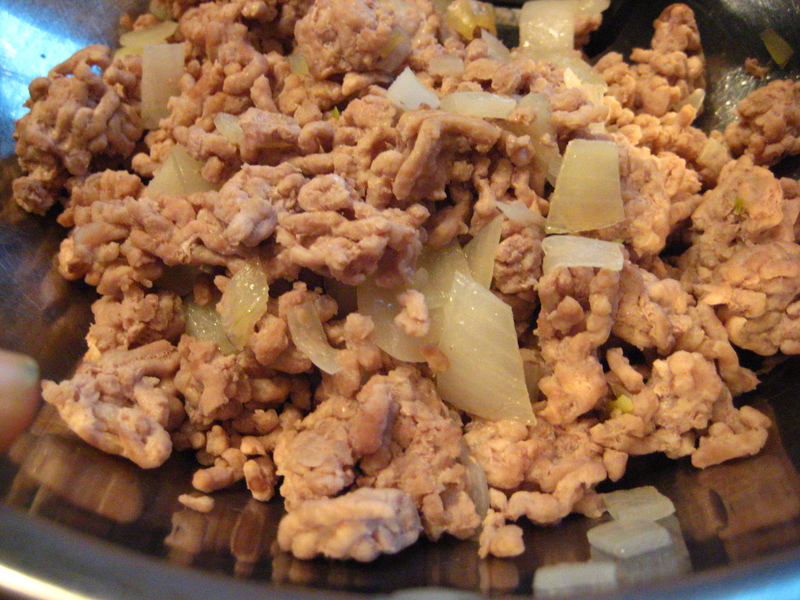 Over about 1-2 tsp olive oil, brown the ground meat over medium heat. Add about half of the chopped onion when the meat is partially cooked, or sooner if you don’t really want to taste the onion. 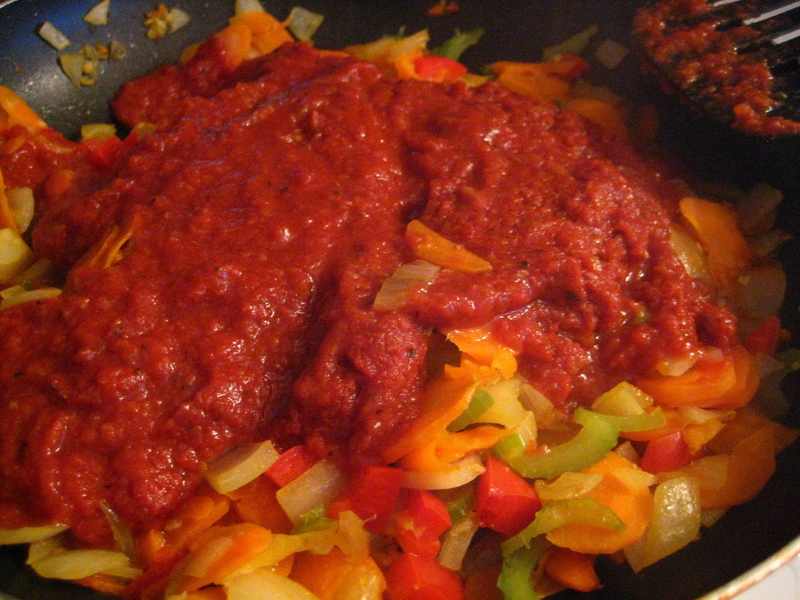 Drain and remove meat from pan if you are using it for your sauce. Saute remaining vegetables and garlic in more olive oil until fairly soft and slightly brown. Stir regularly. 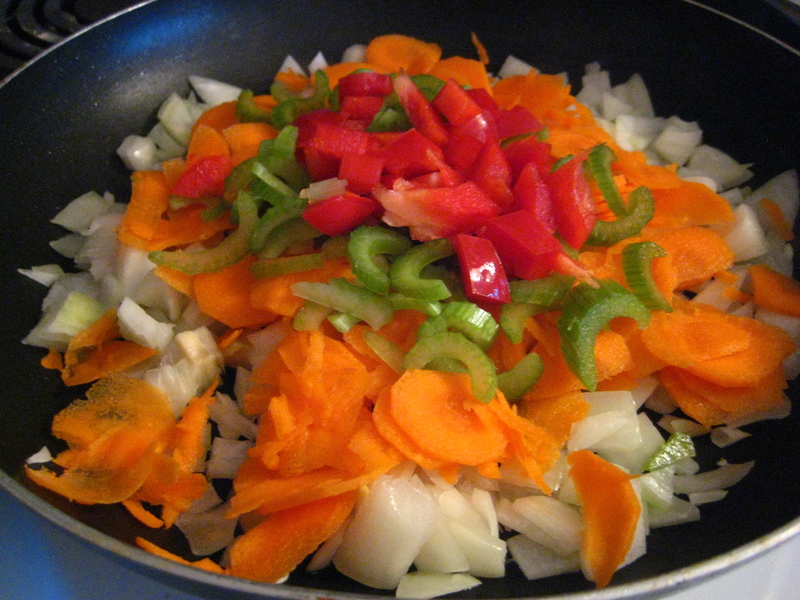 While sauteing veggies, bring pot of salted water to boil. 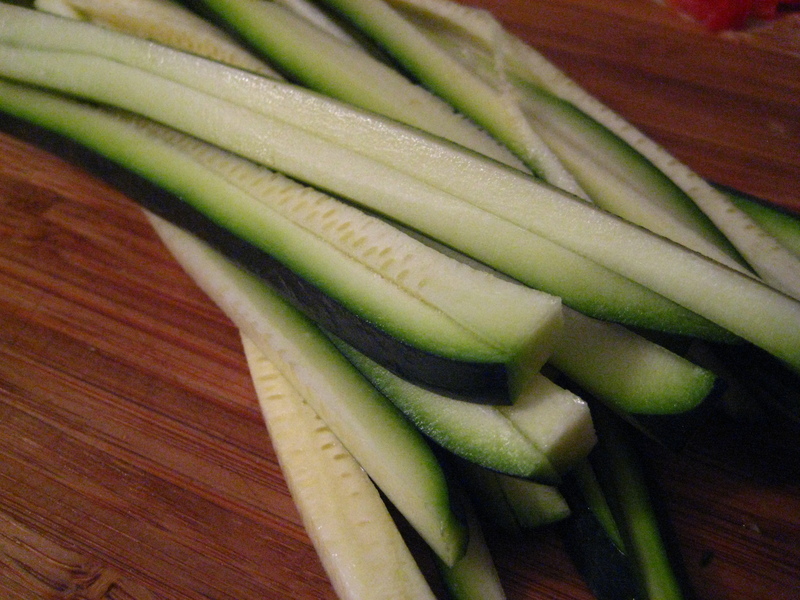 Cut or shave zucchini very thinly. 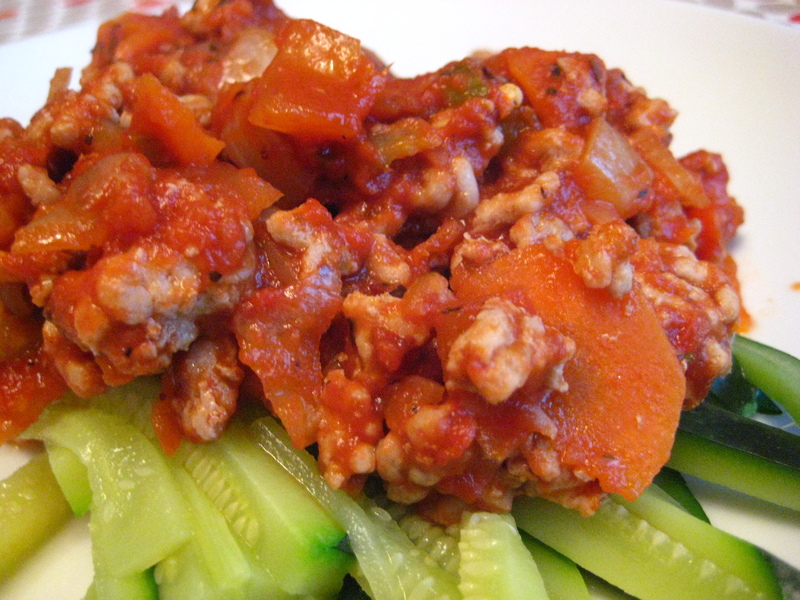 Add tomato sauce to veggies. Season with approximately 1/4 tsp each of basil, parsley, and dried chili flakes, and salt and pepper. Add browned meat to the sauce and veggies. Cover and continue to cook, stirring occasionally, on low-med heat until mixture is hot. Place zucchini gently in boiling water for approximately 2 minutes. Don’t leave too long, lest it get mushy. 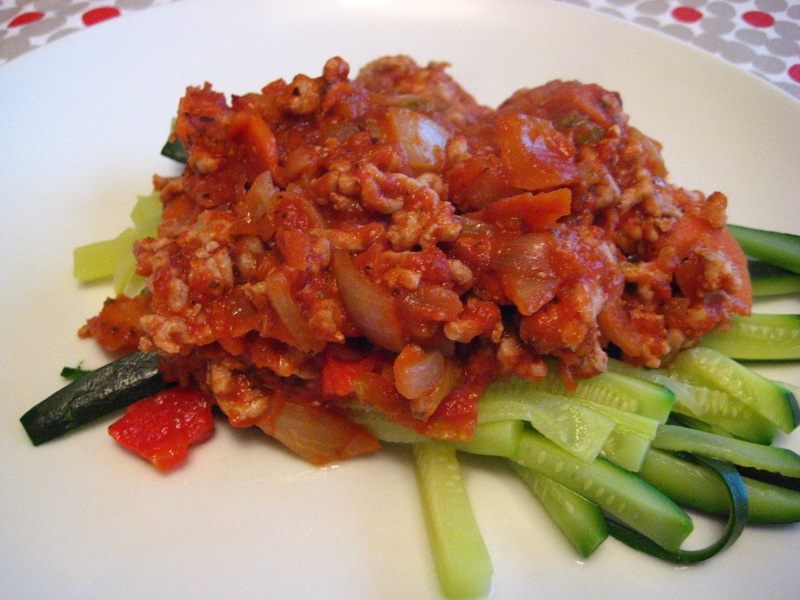 Serve the sauce over the zucchini and enjoy!